Book. Author. Talks. About,The. Dysfunction. And. ,Criminal,Subculture That. Exist In. The. Black. ,Communities..I. Wish. Him. Good. Luck. The. Black,Community. Is. Obsessed. With. Genocide. .Black,Leaders,You. Cannot. Trust,Enslaving. Their , Own,People. Street. Gangs. Slaughtering. Black. People,In. ,The. Streets. Crack. Houses Black. Men. Prostitute. Teenage ,,Girls. In. The. Streets,Black. Men. Having. Multiple.,Children,With. Multiple. Women,Preachers. Who. ,Worship,Money...Racist. White. People. Can. ,Watch. ,The,Black,Race. Genocide. 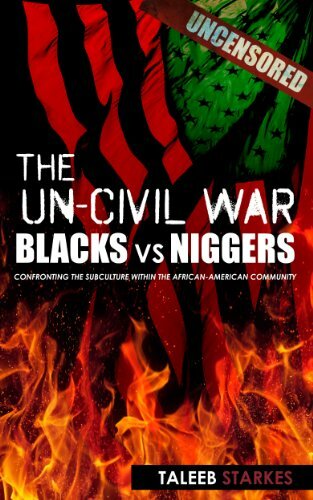 Themselves...Blacks,Versus,Niggers,By,Taleeb Starkes..
Yeah it looks like an interesting book. How did you discover it?